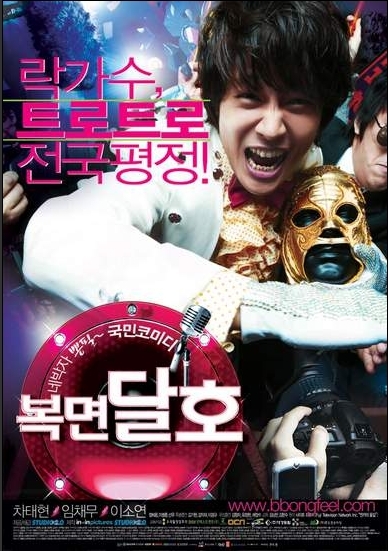 Age is only a number in director Oh Jeom Gyoon's bold romantic comedy Viva Love, winner of the Best Screenplay and Best New Director awards at the 2008 Daejong Awards. Veteran actress Kim Hae Suk (Open City, Cruel Winter Blues) takes the spotlight as a fifty-something woman who falls in love with her daughter's boyfriend, 23 years her junior. Kim Young Min, best known for his roles in Kim Ki Duk's Address Unknown and Spring, Summer, Fall, Winter... and Spring, plays the younger man in this May-December romance which challenges conventional conceptions of love, infidelity, and morality. More than a taboo romance, Viva Love is about one woman's reawakening, and the life-affirming determination to hold on to what matters in the face of obstacles. Stuck in a small town, aspiring rocker Dal Ho makes a living reluctantly playing trot at local clubs. When small-time recording company head Jang offers Dal Ho a contract, he eagerly grabs the opportunity, believing that his time has finally come. After he signs, however, Dal Ho discovers that he won't be rocking after all. Instead, he will be singing trot. Unable to back out of his contract, Dal Ho takes to the stage behind a mask to hide his embarrassment, and ends up an overnight sensation. The wannabe rocker seems to have found his true calling, but doing music he dislikes. With the help of Jang and a certain cute trot singer, maybe he'll actually learn the passion of trot.